There are two good reasons to make a healthy recipe smoothie: They taste great; and they are filled with lots of fruit that have health benefits for your body. 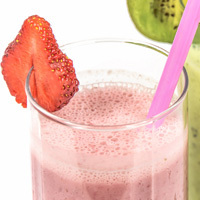 Here’s a sample of popular smoothie recipes that can be a positive addition to your daily diet. This is a delicious drink made with orange juice, milk, and vanilla extract. The Orange Julius franchise is responsible for creating this popular smoothie, and if you can find an Orange Julius location in your town, you’ll be in for a real treat. Made with fresh or frozen strawberries, orange juice and honey. A wonderful sun kissed drink to help you wake up in the mornings. 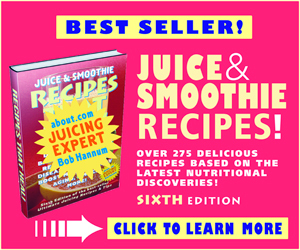 Made with fresh or frozen blueberries, frozen juice and yogurt. Blueberries have lots of antioxidants, so you can enjoy this knowing you’re helping your body stay strong and healthy. Made with banana, kiwi, mango, papaya and orange juice. Escape to the tropics with this exotic blend of flavors. Mangoes are packed with vitamins. 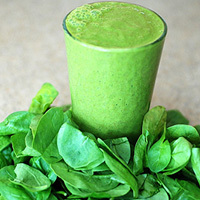 A great energy recipe smoothie. Made with fresh cantaloupe melon, orange juice, vanilla extract and honey. This yummy drink will remind you of the ice cream version you enjoyed on lazy summer days as a child. Made with frozen strawberries, blueberries, raspberries, juice and yogurt. The official drink of superheroes and people who need extra brain power to accomplish amazing tasks. A great frozen fruit smoothie recipe. Made with pineapple, banana, coconut and milk. A tasty slimmed-down version of the popular alcoholic drink. The real pina colada has 644 calories ouch! Made with frozen cherries, raspberries, vanilla yogurt and milk. If you love cherries drenched in creamy vanilla, this is your smoothie. Made with instant coffee, sugar and heavy cream. Okay, maybe it’s a little heavy on the calorie side, but this is a great way to add variety to your daily java routine.